Join thousands of other locals using the North East’s five star rated car finance provider. Don’t be a backseat buyer, take back control of your finance deal with UK Car Finance today. You can walk into any reputable car dealership just like a cash buyer with an unbelievable finance deal in your wallet – get yourself the car you really want. What is a backseat buyer? Forget pushy car sales people – we will make sure your deal is perfect just for you. We’re not here to sell to you, we are here to help you. Once you’ve received your finance approval from our panel of lenders you can take it to any reputable car dealership in Tow Law or elsewhere in the UK! The great news is, if you’ve already got your eye on a car you want, we can help you get it. Our knowledge is second-to-none on who you should trust and who you should avoid. We always advise every customer on how to get the best deal. We work exceptionally hard to ensure we get you into your next car. Your deal is just as important to us as a car is for yourself. As one of the leading car finance brokers in the North East, we want to make sure that you drive away – happy. 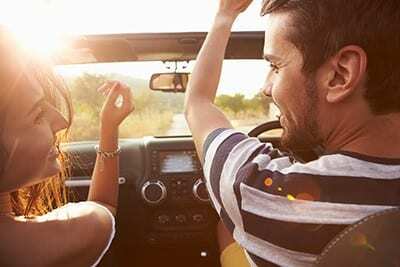 We are experts in Tow Law car finance who are completely unbiased as we are here to help and support your car finance application and your buying journey not to sell to you. We know dealing with pushy salesmen isn’t what you want – which is why we help you the best we can on your deals. We are rated one of the best car finance providers in Tow law. You can head over to our reviews page to see what our lovely customers say about us. We hope you’ll be the next. UK Car finance have succeeded in getting 98.4% of our customers car finance. You could be one of them. With an astonishingly high approval rate we know you have a great chance of getting approved too. Have you been living in the UK for 3 years or longer? Can you prove that you can afford car finance? UK Car Finance provide a relaxed and stress-free application process. You start by filling in our online application form with a few details (it only takes around 3 minutes). One of our experts here at UK Car Finance will call you regarding your application. Your very own local personal car finance expert will be with you throughout your application every step of the way. Once you’ve been approved for car finance and you’ve been offered a great deal, our service does not stop there. If you require any support on purchasing your car, which reputable dealership you should go to or even if you have any questions – we are here every step of the way. Overall, once you’ve applied with us via our website we should receive your application within minutes and your local personal car finance expert will be in contact within 24 hours. The process usually takes around 7 days.